There Are So Many Different Awareness Days, But Have You Ever Heard Of ‘Rare Disease Day’? Chances are you’re not familiar with this day but as fitness/nutrition advocates, being aware of a day that is meant to help those who have been misdiagnosed because of a lack of awareness for their ailment is definitely important. 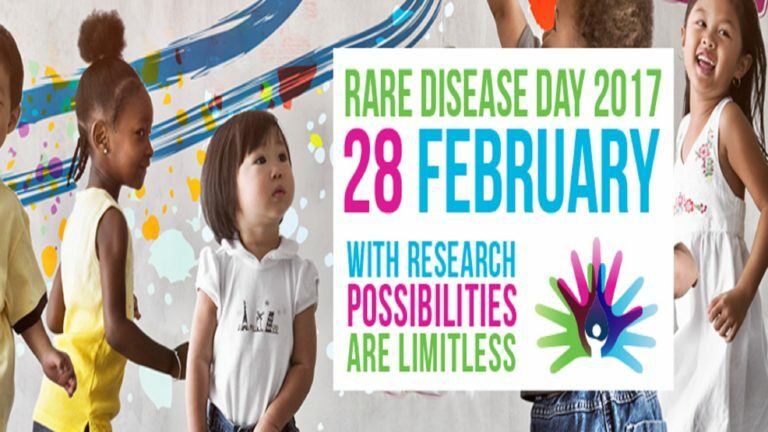 Rare Disease Day started in Europe in 2008 and has since spread worldwide as a day to spread awareness of rare diseases. Typically, since these are so rare, it is easy to misdiagnose the symptoms as a much more common disease and this can cause improper medication as well as treatments to be performed which can lead to worse conditions in the patient. The US National Organization for Rare Disorders (NORD) is the biggest nonprofit organization that leads the charge for this and seeks treatment and cures for these rare diseases. Why is a day like this important? Surprisingly, one in ten Americans actually lives with a rare disease which makes up quite a lot of people when you think about it. More surprisingly, a lot of these are our children. Rare disease day actually promotes awareness of these diseases and also sheds light on what symptoms to look for while not scaring people into hiding for the rest of their lives. In fact, they choose to place this event on the last day of February (either the 28th or 29th) to ensure that it is on the rarest of days. This year’s theme is research as it brings hope to people living with these rare diseases as well as the loved ones who take care of them. Extra research funding for organizations such as NORD leads to fewer misdiagnoses and often less fatal accidents with medication. It’s something that is often overlooked as we focus on what our commander in chief is up to on his Twitter but there are a few easy ways to show your support for this cause. The site provides a few great choices to show your support including adding a small flag to your Facebook or Twitter profile picture or submitting a picture to them. Of course, donations are also welcomed as you are assured that each one is going to a great cause! To learn more, donate, or participate in this year’s Rare Disease Day, check out their website here: http://rarediseaseday.us/. Until next time, think healthy, be healthy!